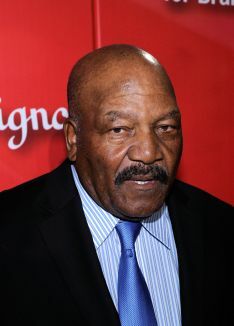 Born in Georgia and raised in a black Long Island ghetto, Jim Brown distinguished himself in high school athletics. Recruited from Syracuse University, Brown was signed with the Cleveland Browns in 1957, remaining with that organization as star fullback for ten years. Breaking any number of NFL records, Brown was named Rookie of the Year in 1958 and Player of the Year in 1960; he played in every Pro Bowl game from 1958 through 1965, and in 1971 was elected to the Football Hall of Fame. While still with Cleveland, Brown made his film debut in the 1963 Western Rio Conchos, an event deemed worthy of a four-page color spread in Life magazine. 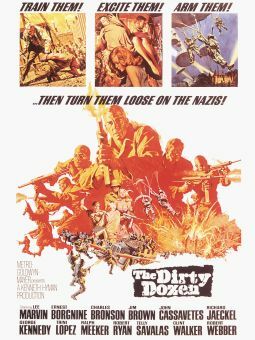 He became a full-time actor upon his retirement from the NFL in 1967, co-starring that year in The Dirty Dozen. Though he had trepidation about the climactic scene in which he blew dozens of helpless Nazi officers and their sweethearts to bits with hand grenades, it was this uncompromising sequence that truly "socked" Brown over with the audience. 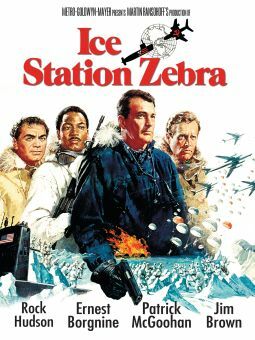 He rapidly rose to leading roles in such actioners as Ice Station Zebra (1968) and 100 Rifles (1969); in the latter film, he stirred up controversy by sharing several steamy scenes with white actress Raquel Welch. Brown also headlined the above-average crime capers Kenner (1969) and Black Gunn (1972) as well as the ultraviolent Slaughter series. He cut down on his film appearances in the late '70s, devoting most of his time to his many civic activities and business concerns; during this period, he also founded the Black Economic Union. After several years' absence from the screen, Jim Brown co-starred with fellow blaxploitation icons Fred Williamson, Pam Grier, and Richard Roundtree in the delightfully "retro" action-fest Original Gangstas (1996).